OAKLAND,Calif. (KGO) -- Golden State Warriors legend Nathaniel Thurmond has died at the age of 74 after a short battle with leukemia. Known to fans as a "Nate the Great," the basketball star is considered one of the best centers to ever play the game. The passing of the seven-time NBA All-Star has been met with high praise for his talents and fond tributes for what he meant to the sport by players spanning generations. NBA Commissioner Adam Silver released the following statement: "Nate Thurmond was a giant of his era and one of the greatest players in the history of our game. A fierce competitor with an incredible array of skills, Nate had a remarkable Hall of Fame career that included the first quadruple-double in NBA history. Nate brought the same passion to his longtime community-relations role with the Golden State Warriors, who benefited from his deep knowledge of the game and warmth and kindness to everyone he encountered for more than 30 years. We are deeply saddened by his loss." Many athletes and NBA stars have been tweeting in memory of Thurmond, for his legacy, his contribution to the sport and his community and for the numerous NBA records he set. Damn man!!! 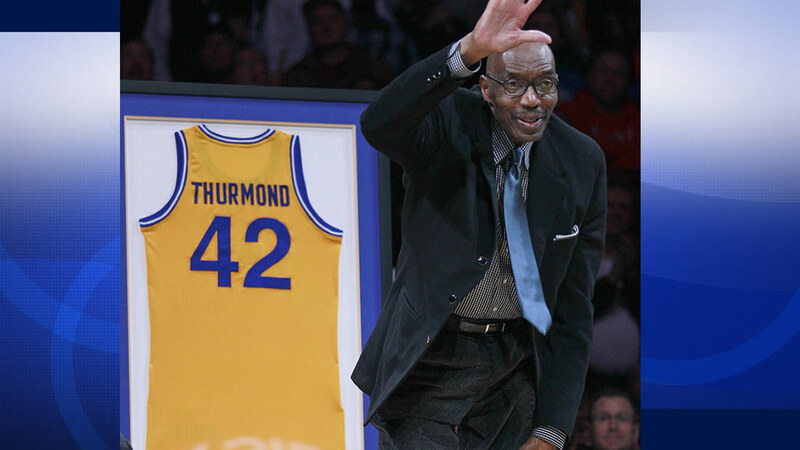 R.I.P Akron's own Nate Thurmond. Knowing u played in the same rec league as me growing up gave me hope of making it out! Thanks! Thoughts and Prayers to The Family, Friends, and Fans of the Great Nate Thurmond.